Home / Plugins / 6 essential WordPress Plugins for the year 2016. 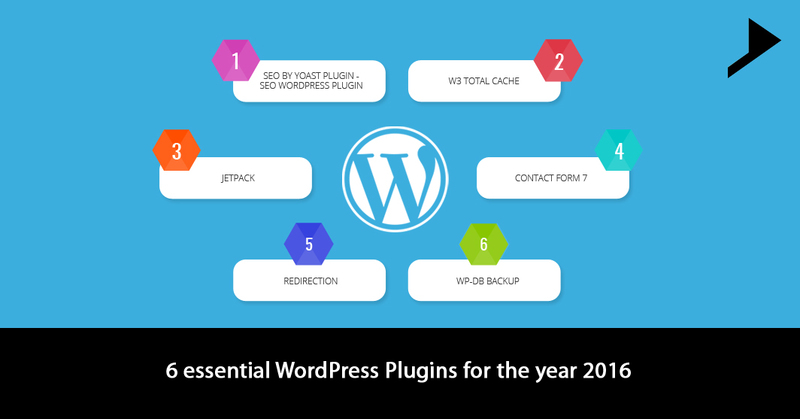 I know all our WordPress users are awaiting to get the list of Must Have WordPress Plugins of 2016. So here I have tried to list out the most vital, Must Have Plugins for my viewers. Choosing these Must Have Plugins was really a tough task as you all are aware that WordPress has a huge collection of thousands of plugins. It’s a fact that maximum number of websites are built on WordPress platform and the user community is huge. Plugins play vital role in running a site or blog built on WordPress. Actually plugins are the backbone of an ultimate website creating platforms. If you wish to make your website more user friendly, elegant and optimized the thing which should be taken care of is, plugins to be used. Here I am introducing you to the Must Have Plugins which every blogger may use for his own website. So let’s get started. Search Engine Traffic is the most important factor or the primary requirement of any kind of website or a blog. SEO by Yoast plugin will help the writers to write a blog content which will be SEO optimized. The vital feature of this plugin is that under every blog post it displays a box in which you can get to know in detail about the SEO of the post , also you can set the Search Engine appearance title i.e.the Meta Title and add the meta description which can link your post in Search Engine Results. Hence there is no need to install multiple plugins for adding the Meta Title and description. It can also give you the complete SEO report of the blog posts. W3 Total Cache is a must have WordPress plugin which can help you make your website faster than before. There are numerous processes running after the display of your website from the server and up to the browser window of your pc or mobile or any other electronic gadget. But today’s modern technology makes it possible to happen just in fraction of seconds. This plugin directly helps to load your website faster than ever before. W3 Total Cache can optimize the website for speed which improves the performance of the website at least 10 times compared with the performance in general. It also minimizes the HTML size to increase the performance by their compression retaining the same quality as you want. SO why not have such a plugin which can optimize your site up to a great extent. Multiple sites can be managed from a single dashboard. This feature of Jetpack is termed as Centralized Site Management feature. Enhanced distribution can automatically share your posts with the search engine and with other useful services for targeting more visitors. Publicize feature lets you share your new blog posts on different social networking sites automatically. A subscription widget can help you increase your email list through which you can target more readers. Site Stats is a feature of Jetpack which can give you a complete stats of the WordPress blog on site. This plugin also includes features such as Shortcode Embeds feature, Video Press, custom CSS and more with the benefits of multiple plugins in just one plugin. Most of the websites have separate contact pages on the sites through which we can contact the site admins directly via a contact form. This plugin can help to give your readers an accurate means to contact the writer of an article at the easiest. Hence this plugin acts as a link between website visitors and the article owners. Hence every website should have this plugin. The most important advantage of this plugin is that it is available in number of languages which are widely spoken all over the world. Yeah this name is somewhat surprising and helps us in choosing multiple type of and custom permalink for our blog pages and posts. Either we need to change URL sometimes, or we need to make some of the custom redirects accordingly. This kind of redirection is possible with this plugin. Especially the old blogs faces the trouble of changing requirements and to overcome such kind of issues and to retain their ratings and rankings, this plugin can be the best solution. It is necessary that you keep your WordPress site and the blog backed up as in any case of accidents you might lose important data. Many of the web hosting companies charge higher to keep your website and blog data backed. But you don’t need to pay such a huge amount as there is a much better solution for the same. WP-DB Backup can help you out to complete your need. Technically we can say that our WordPress data tables are actually backed up by this plugin. Your site can be kept more safe and secure through regular backups. So above listed are some of the Must Have Plugins which cannot be missed by a WordPress user. Did I miss any necessary plugin in my Must Have WordPress plugins list? Your ideas are always welcome and your comments are the most precious for me. 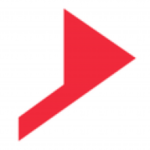 WPSumsit and Simple social Adder is the best plugin that we use! And all the plugins are also great! Great list of plugins dear! Hey, its great to know that you are loving our posts. Your comments are the encouragement capsules for us. So be our regular reader and let us get your valuable comments. It has been one of the best articles i have read. It was actually very informative.Looking ahead for a lot more blogs of this particular in near future. Alfie, thank you for this superb appreciation.We will be writing more such blogs for our readers. To read more be our regular reader.